India’s extensive coastline is blessed with large swathes of spectacular beaches. Be it the Konkan coast of Goa-Maharashtra, the Karavali coast of Karnataka or Kerala’s Malabar coast, India’s western side is lapped by the calm Arabian Sea. The slightly rougher eastern coast hemmed by the Bay of Bengal too has its share of beaches – from West Bengal, Odisha and Andhra down to the Coromandel Coast of Tamil Nadu. While South Kerala is renowned internationally for its beach destinations like Kovalam, Varkala and Mararikulam, the relatively untouched Malabar Coast to the north has its share of secrets. Kannur’s cluster of beaches include the popular Meenkunnu and Payyambalam in the north to Thottada and Ezhara in the south. Thottada, with its serene backwaters and cliffs, retains the vibe of old Kerala, prior to the influx of tourism. Stay at beachfront homestays and feast on excellent Moplah cuisine – pathiris (assorted pancakes), fish curries and kallumakai (green mussels). At Kannur Beach House, go on a backwater boat ride with Nasir while Rosie stirs up delightful local fare. Stay in a renovated handloom factory at Costa Malabari with fresh seafood prepared home style. 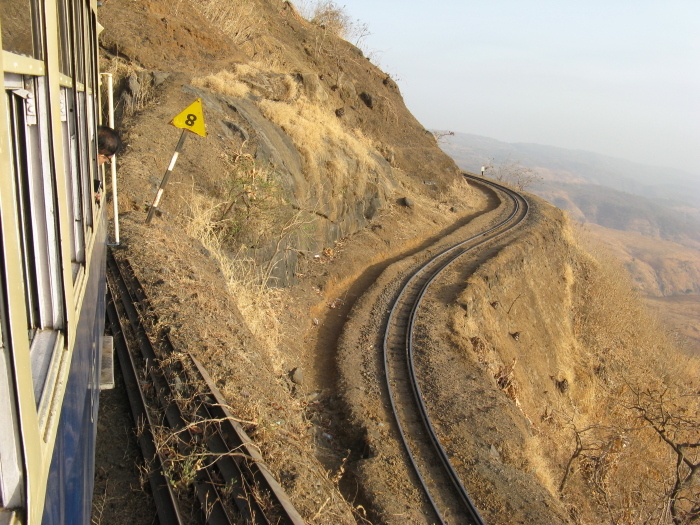 Just 10km south, skim the surf in your vehicle at Muzhappilangad, a 5km long drive-in beach. Watch fishermen draw in the morning catch and gaze at golden sunsets silhouetting Dharmadom Island. Jet Airways flies to Calicut International Airport, Kozhikode from it’s a 110km drive up to Thottada Beach, just south of Kannur. Uttara Kannada is well known for its beach haunts like Gokarna and Devbagh in Karwar, though few pay attention to the small coastal town of Ankola wedged between these two popular tourist getaways. The Poojageri River meanders through the forests of the Western Ghats, before it finally meets the sea at an idyllic place called Nadibag (River Garden) in Ankola. Few tourists come here, barring locals who climb the hill to catch the sunset, pose for selfies on the rocks or wade in the surf. The twin sights of the sea on one side and a picturesque lagoon on the other, as the sun goes down makes it an unforgettable spectacle. Ankola doesn’t have any fancy resorts, so Gokarna is the closest place for creature comforts. Jet Airways flies to Hubli (145 km from Ankola via Yellapur on NH-63) or Dabolim Airport, Goa (132 km via Karwar on Kochi-Panvel Highway). The coast of Malvan in Maharashtra was once Maha-lavan, a ‘Great saltpan’ from where sea salt was traded. As the Karli River empties into the Arabian Sea, the beautiful strip of land between the river and the sea is Devbag or ‘Garden of the Gods’. Both, the river and the jetty are called Karli, so the place on the far side (taar) was called Taar-karli! 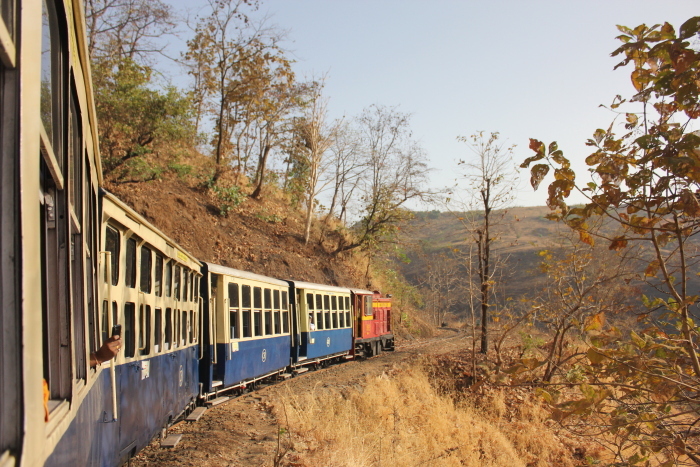 While the scenic confluence developed into a hub for adventure sports, Bhogwe, located south of Tarkarli, has thankfully managed to escape the attention of most tourists. The best way to explore this stretch is by boat, which deposits you at Bhogwe Beach, a long swathe of untouched sand, before continuing the journey past Kille Nivti fort to Golden Rocks, a jagged ochre-hued hillock, that dazzles in the afternoon sun. Make sure to carry water and a picnic hamper. 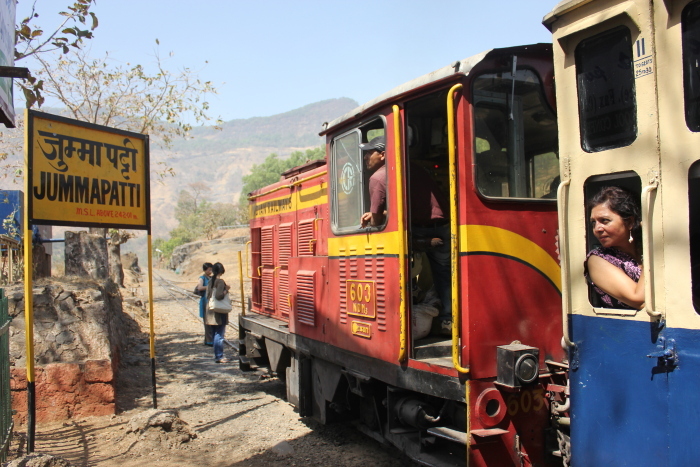 Relish excellent Malvani cuisine while staying in bamboo huts on a hill overlooking the sea or at Maachli Farmstay about 5km from the coast. Jet Airways flies to Mumbai and Dabolim Airport, Goa (123 km via Kudal). The Andaman and Nicobar islands are a much desired getaway for most beach lovers. Though only 32 of the 572 islands are inhabited, much of the usual haunts like Port Blair and Havelock Island are overrun by tourism. Yet, Neil Island, an hour’s boat ride from Havelock in Ritchie’s Archipelago, is relatively unexplored. Most of the local agricultural produce comes from the tiny island of Neil, pegged as the ‘Vegetable Bowl of the Andamans’. A lone metaled road cuts through the lush foliage to quiet beaches like Sitapur, Bharatpur and Govindpur, though it’s Laxmanpur that takes your breath away. Divided into two stretches, Laxmanpur 1 or Sunset Point offers stunning views and snorkeling opportunities and has comfy beach dwellings. 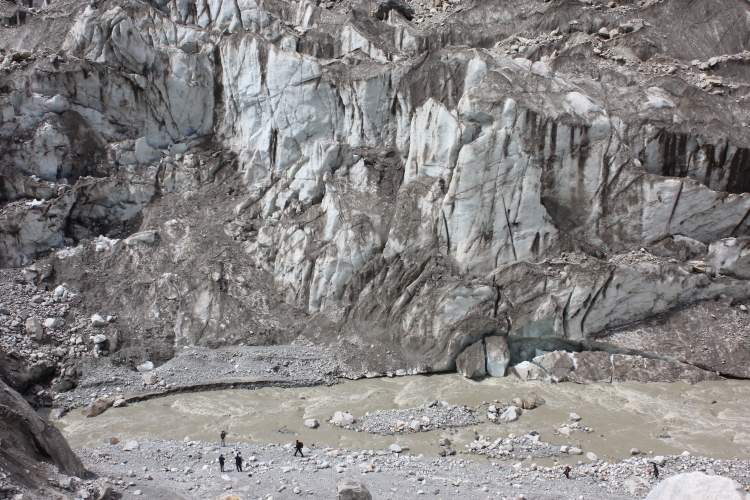 Laxmanpur 2, dominated by a natural rock bridge, divulges secrets of the marine world at low tide. As the waters recede, local guides take you around salt pools inhabited by fish, eels, sea cucumbers and clams. Forget scuba, snorkeling or glass bottom boat rides, you can marvel at the variety of corals on a leisurely morning walk! See stag horn corals, finger corals, boulder corals and colour-changing corals from close quarters before the tide swells and hides them from sight. Jet Airways flies direct from Chennai and Kolkata to Port Blair (2 hrs), from where a ferry transports you via Havelock (1hr 30m) to Neil island (1hr). While the Coromandel coastline has popular beach destinations like Mahabs (Mamallapuram) and Pondy (Puducherry), few stop by further down the coast at Tharangambadi or ‘The Land of the Dancing Waves’. The Danes leased this small coastal village from the Thanjavur Nayaks and transformed it into a trading colony called ‘Trankebar’, eventually selling it to the British. 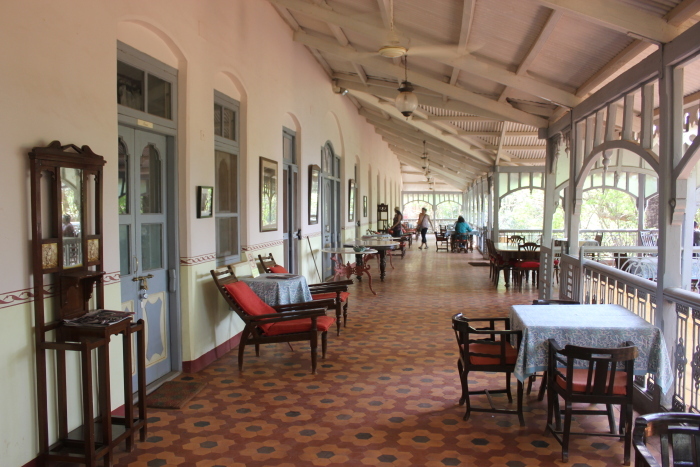 The erstwhile summer residence of the British collector, renovated by Neemrana into the Bungalow on the Beach, has rooms named after Danish ships that docked at Tranquebar. 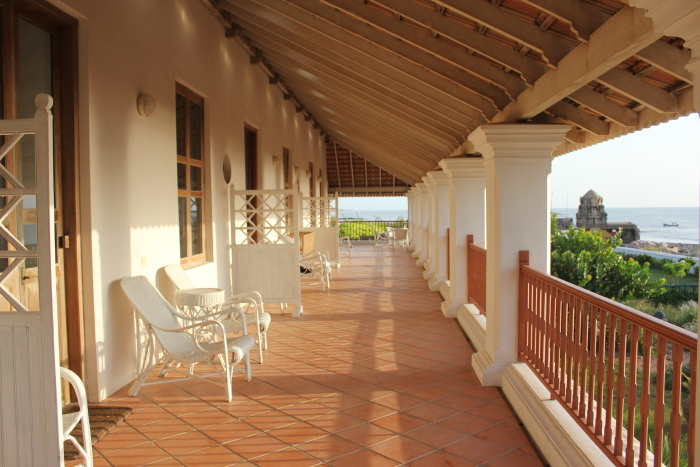 Located on King Street between the Dansborg Fort and the half-sunken 12th century Masilamani Nathar Temple, the bungalow is the perfect base for heritage walks around the coastal town. Explore the Danish cemetery, Zion Church, New Jerusalem Church, Landsporten (Town Gate) and The Governor’s bungalow, all built in the 1700s. Watch catamarans set out for fishing in the early rays of dawn as you enjoy India’s only ozone-rich beach with the option to stay at Neemrana’s other properties nearby – Nayak House and Gate House. 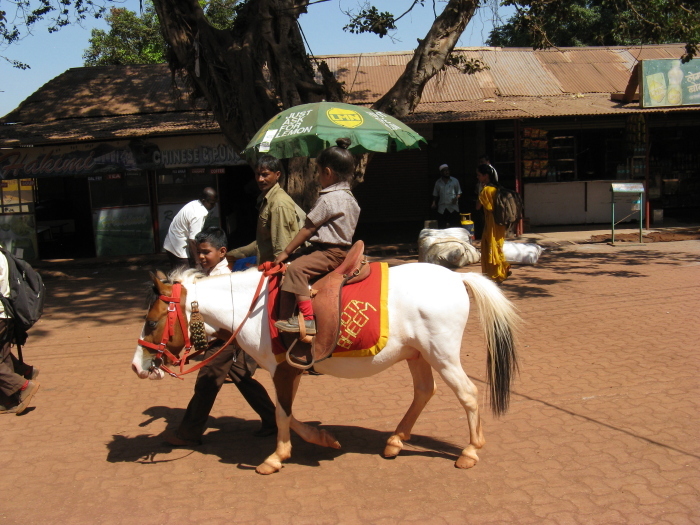 With over half a century of being in the crosshairs of tourism, there are few secrets in Goa. 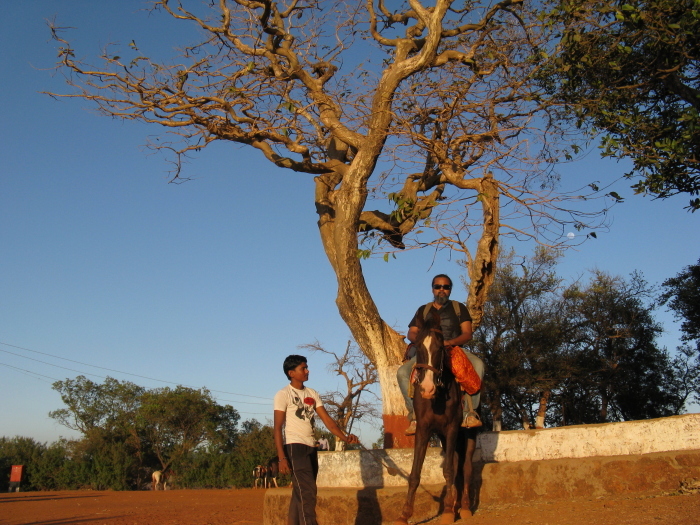 Arambol, Ashwem, Morjim, Agonda; all the once offbeat haunts are now quite beat! But in comparison to the busy beaches of North Goa, the south is somewhat quieter. However, it isn’t till you drive south of Palolem near Canacona just short of the Goa-Karnataka border that you find a stretch that’s truly remote. As the Kochi-Panvel highway veers away from the coast, two lovely beaches line the tract of land where the Talpon and Galgibag rivers drain into the sea. Named after the streams, Talpona and Galgibaga beaches are indeed offbeat sandy stretches that few people visit. Since Galgibaga is an important turtle nesting site, tourism infrastructure is thankfully restricted. There are only a few stalls on the beach, making it one of the last undeveloped beaches in Goa where you can soak up the sun without hawkers pestering you with sarongs, beads or massages. Stay in a quiet riverside homestay at Talpona or in a Portuguese villa converted into the boutique hotel Turiya, which offers spa therapies and excellent local cuisine. After winding up Urwahi Road past mammoth rock cut sculptures of Jain tirthankaras, we stood awestruck by the sight of bright blue mosaic tiles and bands of quirky yellow ducks and blue elephants on the stony façade of Man Mandir Palace atop Gwalior Fort. Babur described it as ‘the pearl in the necklace of forts of Hind’ while Warren Hastings, the first Governor General of India famously proclaimed “The Gwalior fortress is the key to Hindoostan”. Lying at the crossroads of North India, the historic city was a coveted prize and a strategic outpost on the trade routes that fanned from Delhi to Malwa, Gujarat and the Deccan. 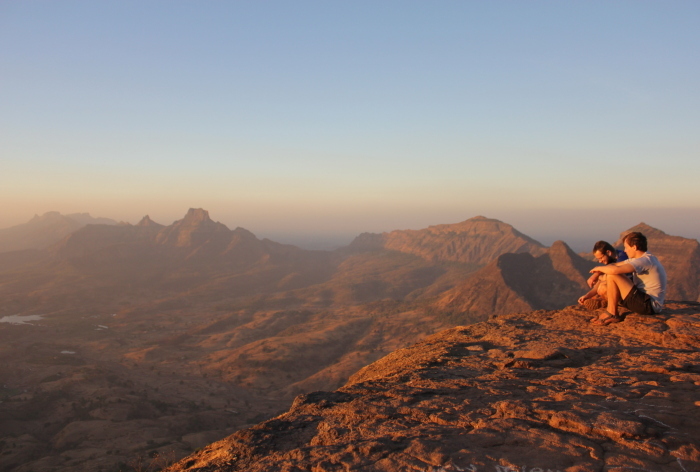 The majestic fort crowns Gopachal Parvat, the solitary sandstone outcrop of the Vindhyas rising above the plains. Once a hill where cowherds lazed, it became a quiet nook for ascetics. 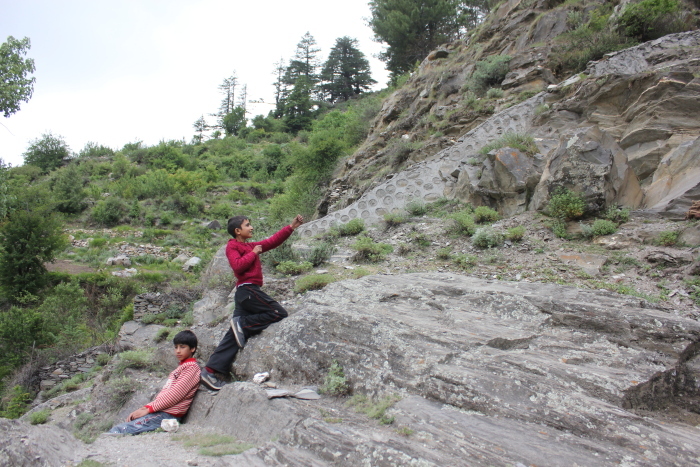 Sometime in the 8th century Suraj Sen, a Kachhwaha Rajput chieftain, lost his way while on a hunt in the forest. 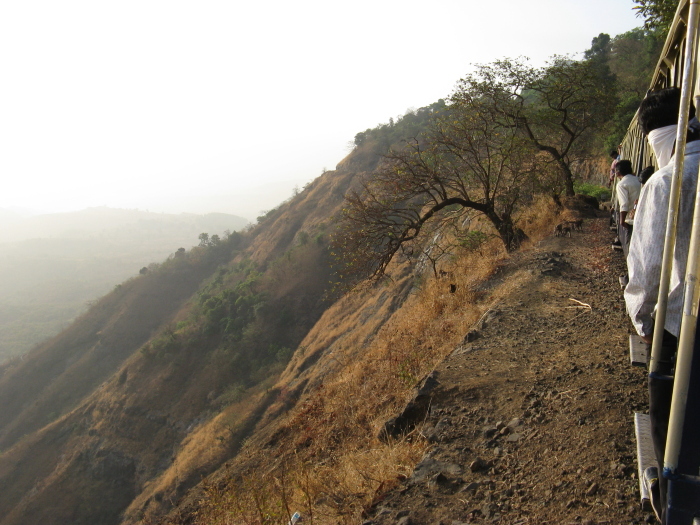 Tired and thirsty, he encountered the sage Gwalipa on this secluded hill. The saint gave him water from a pond, which not only quenched his thirst but also cured his leprosy. In gratitude, the prince built a protective wall to prevent wild beasts from disturbing the sage’s yagnas and a palace for himself. While the miraculous pond was called Suraj Kund after the king, the city that grew around the fort was named Gwalher after Gwalipa the saint. Over the years, smoothened by time and myriad tongues, Gwalher became Gwalior, in the same manner that the Sahastrabahu temple of the Kachhwahas got corrupted to Saas Bahu! But there was good reason for it. Built in 1092 by King Mahipala, the shrine was named after and dedicated to the ‘thousand-armed’ Vishnu, ardently worshiped by the queen. 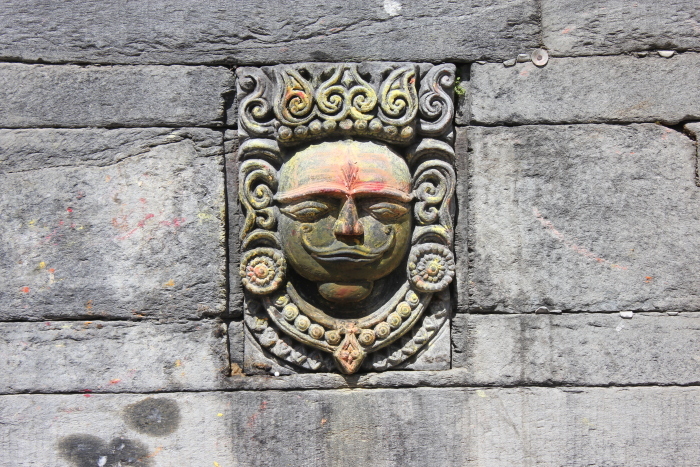 Since the prince’s wife was a Shiva devotee, a separate shrine was built for her beside the Vishnu temple. Collectively, they were called Saas-Bahu Mandir, referring to the mother-in-law and daughter-in-law’s temples. In a similar vein, Teli ka Mandir, the loftiest and oldest surviving structure within the fort has little to do with oil-mongers but was originally called Telangana Mandir on account of its Dravidian spire. Gwalior Fort is a treasure trove of history. While it is common knowledge that the zero was invented in India, the earliest written record of the numeral is an inscription in the Chaturbhuj temple dating back to 876 CE. The Pal dynasty of Kachhwahas and the Gurjar Pratiharas controlled Gwalior initially, but the fort changed hands with alarming rapidity, slipping from the grasp of Delhi’s first Turkic Sultan Qutubuddin Aibak to Iltutmish. After the Delhi Sultanate collapsed at the end of the 14th century, independent regional kingdoms sprouted, including the Tomars, under whose reign Gwalior soared to great heights. Periods of war and bloodshed alternated with interludes of peace and stability, when the sound of music drowned battle cries and the clash of swords was forgotten in the rhythms of poetry. The credit for developing Gwaliori Dhrupad, considered one of the purest forms of Indian music, goes to Tomar Raja Man Singh (1486-1516). Musicians from across the country descended on Man Singh’s opulent palace Man Mandir. 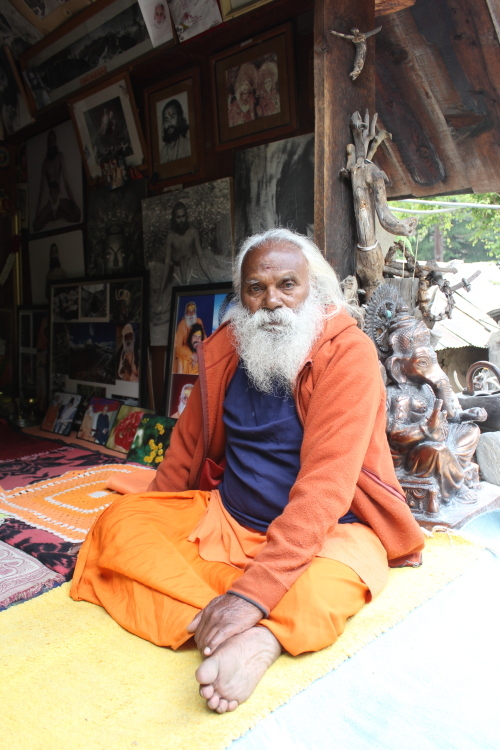 Two of the most famous musicians in medieval India, Baiju Bawra and Tansen trace their roots to Gwalior. At one time, nearly half the musicians in the Mughal imperial court came from the city. Books preserved in Jai Vilas Mahal recount legends of how Baiju Bawra and Tansen could light oil lamps by singing Raga Deepak; cause rain by singing Megh Malhar; make flowers bloom by singing Raga Bahar; hypnotize deer with Raga Mrigaranjini or melt a stone slab with Raga Malkauns. Tansen, originally one of the nine jewels of Man Singh’s court, later became one of the navratnas (nine jewels) of Akbar’s court. When the maestro died, Akbar ordered all musicians in the country to join the funeral procession. Thousands still flock to Gwalior every year in December for a weeklong music celebration in memory of Tansen not far from his 16th century tomb under the shade of a tamarind tree. As per local tradition, aspiring singers often chew the tamarind leaves for a sweet voice. Tansen’s raised rectangular memorial was humbled by the grand mausoleum of his spiritual mentor and Sufi mystic Sheikh Mohammad Ghaus Shattari. With lace-like screens, his massive square tomb was capped with a large dome. Akbar borrowed more than the city’s prized poet laureate; he also found in Gwalior’s mahals (palaces) and chhatris (domed pavilions) the inspiration for Mughal architecture. While Man Mandir was a private pleasure palace, Man Singh built another palace for his doe-eyed Gujar queen Mrignayani at the base of the hillock. Gujari Mahal now houses an archaeological museum, with a rare 10th century statuette of Shalbhanjika the Tree Goddess, kept under lock and key in the curator’s office. Under Humayun, the Mughals lost the fortress to Sher Shah Suri but Akbar reclaimed it. However, the palace that once resounded with song and laughter, echoed with the anguished cries of prisoners. The underground realms and pleasure pools where maharanis once gossiped turned into chambers of torture. French traveller Bernier noted horrific accounts of the prison. From Akbar to Aurangzeb, state prisoners were dulled with poppy and left to decay and die a slow painful death. Among the few who left the prison alive was sixth Sikh Guru Hargobind Singh. Imprisoned unjustly, Emperor Jahangir was forced to order his release at the insistence of his beloved queen Nur Jahan. Seeing the plight of captive princes and fellow inmates, the Guru said he could not leave alone. The Mughal emperor decreed that as many prisoners who could hold on to the Guru’s robe would be released. Overnight, tassels were attached to the Guru’s tunic and thus 51 other people were set free. Not far from the celebrated Scindia School atop the fort, Gurudwara Data Bandi Chhod celebrates this incident. 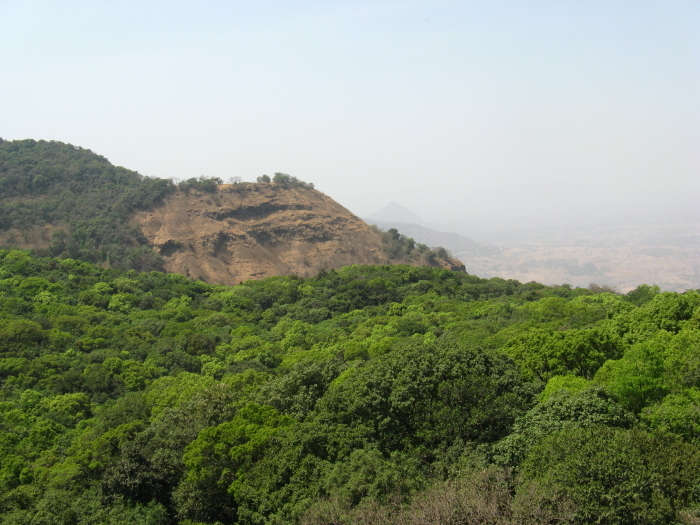 After Aurangzeb’s death, anarchy prevailed until Mahadji Scindia, founder of the Maratha empire seized the fort in 1765. Always at odds with the expansionist British, the Marathas fought many battles eventually losing the fort in 1780 before they faced a complete rout in 1843. Public sentiment had built up so much against the British that a handful of soldiers in Meerut sparked off a nationwide rebellion in 1857. Gwalior once again changed hands as Tatya Tope, Rao Saheb Peshwa and Rani Lakshmibai took hold of the fort. The Rani of Jhansi died fighting valiantly against the British at the fort’s southern base, Phool Bagh. Ironically, the Scindias sided with the British and received handsome rewards which fueled a construction frenzy of opulent palaces and mansions in Gwalior. Jai Vilas Mahal, styled after a palace in Versailles stands in Lashkar (a Persian word meaning ‘camp’), an area once occupied by army battalions. Forty rooms of the 400-room European style mansion are maintained as the Jiwaji Rao Scindia Museum, with royal artefacts and opulent dining sets on display. The highlight is a gigantic pair of Belgian chandeliers in the Durbar Hall and a silver train in the dining room that ran on a miniature track dispensing post-dinner cognac, dry fruits and cigars! Madha Rao Scindia I, founder of modern Gwalior built the Phool Bagh where a temple, mosque, gurudwara and Theosophical lodge stand testimony to the city’s secular ethos. The king also started the Gwalior trade fair in 1905, the biggest fair in Madhya Pradesh. Music aficionados will find it worth their while to visit Sarod Ghar or the Museum of Music, set up in the ancestral house of the legendary maestro Ustad Hafiz Ali Khan, father of Ustad Amjad Ali Khan. 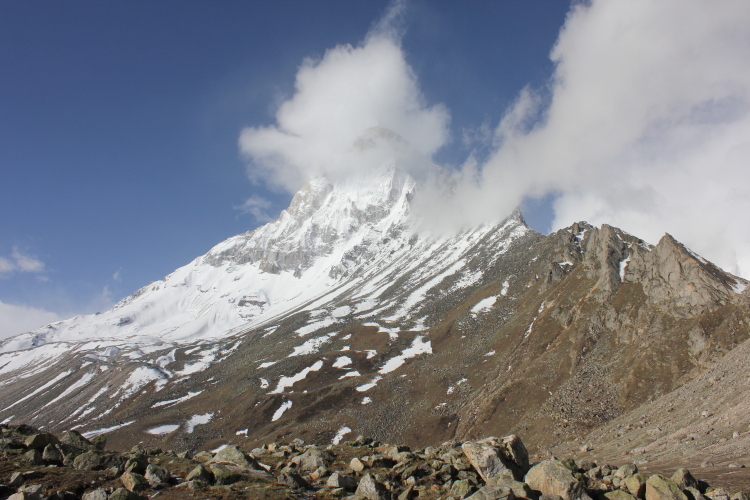 Nearby, the place where the British Army Unit 34 encamped during Second World War is called ‘Thatipur’, its numerical reference lost on locals. In the syncretic air of Gwalior, Ramtanu Pandey becomes ‘Miyan’ Tansen and a fearless Gujar village belle Nanhi becomes Mrignayani the queen. Unperturbed by the burden of history, Gwalior juggles its various influences with panache and typical Bundelkhandi swagger. Gwalior Airport is located at Maharajpur, 10 km north-east of the city and is connected by flights from several cities. The month-long Gwalior Trade fair is held between the second week of January and February. 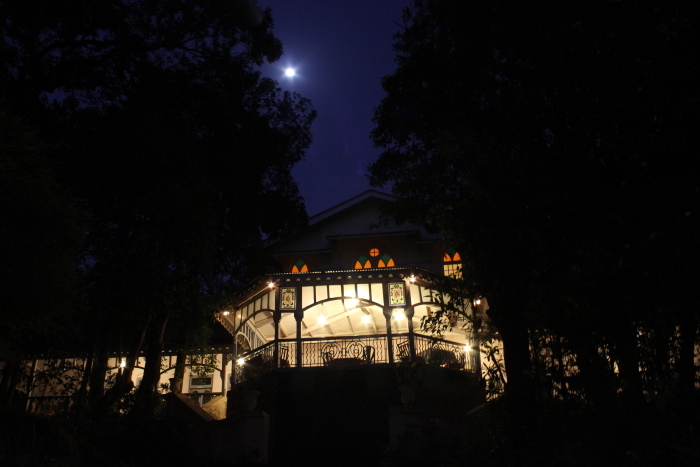 Tansen Samaroh is a 5-day classical music festival held in December. The royal summer house of the Yadavs facing the nine-chequered garden Nau Bagh is run as a heritage hotel by Neemrana. 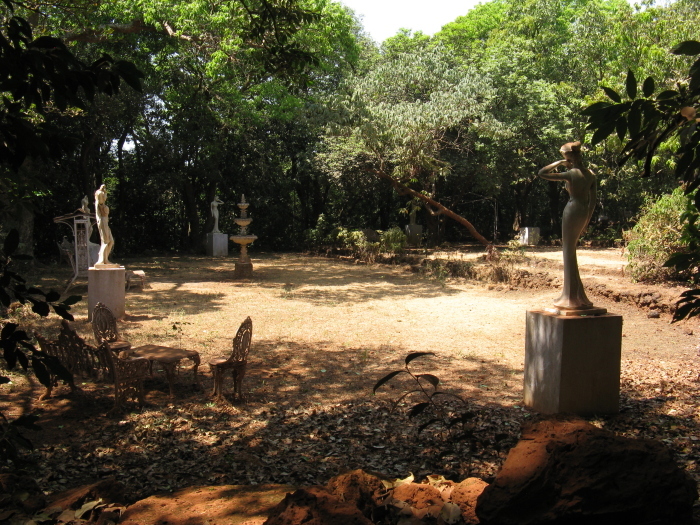 The 25-acre property has lovely gardens, cenotaphs, pavilions and two 18th century Maratha temples. The 120-year-old colonial era palace with twin towers is run by the Taj Group as a heritage hotel and has hosted luminaries like the King of England. Try the local favourite bedai, a poori stuffed with spiced lentils, besides gajak (sesame, sugar and ghee sweet) from Ratiram Gajak and Morena Gajak Bhandar. Regulars queue up early morning for samosa, kachori and sweets at SS Kachoriwala and Bahadura, an 80-year-old sweet shop in Naya Bazaar. Also check out Dilli Parathe Wala at Sarafa Bazar, Agrawal Puri Bhandar at Nayi Sadak and laddus at Shankerlal Halwai. Authors: Anurag Mallick & Priya Ganapathy. This article appeared as the Cover Story in the April 2016 issue of JetWings International magazine. 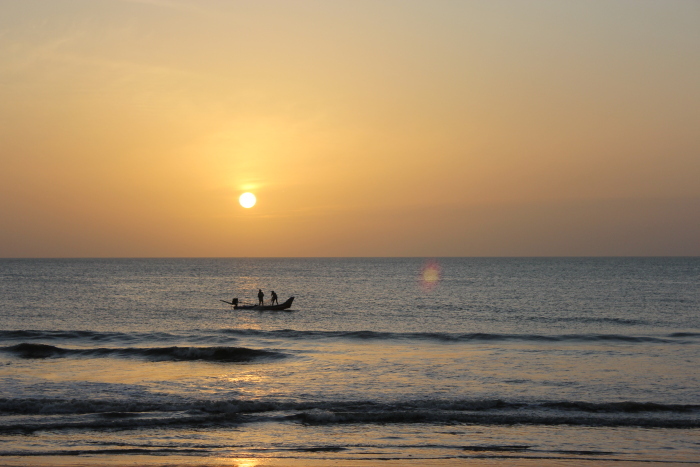 At dawn, the sea at Tranquebar had turned into molten gold. 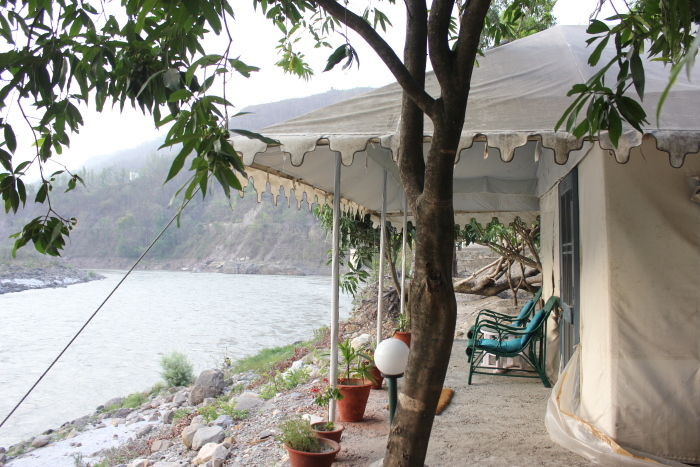 We watched tongues of shimmering waves sweep across the empty shore from our balcony at Neemrana’s Bungalow on the Beach. To the left, the crumbling Masilamani Nathar Temple was being slowly reclaimed by the sea. On the right, burnished by the Midas touch of the sun, stood the stolid Dansborg Fort, symbol of a grand dream of kings and queens across continents. A dream that took birth nearly four centuries ago in 1620 when Captain Roland Clippe of the Danish Navy negotiated a 16-point trade treaty on behalf of King Christian IV with Raghunatha Nayak of Thanjavur. Today the sleepy town, a pale shadow of its former self as a bustling fortified port, was the only relic of Danish culture in India. The sort of place that makes you pause, take a deep breath and smile for no apparent reason. Or perhaps, it was because we woke up in Christianus Septimus, a period room named after one of the many Danish ships that sailed to Tranquebar. The large four-poster complemented the wooden floors while ceiling-to-floor curtains billowed gently in the breeze. Located on the first floor between other quaintly named rooms (Princess Louise and Countess Moltke), a long verandah offered a splendid view of the garden and the seascape. Infused with the old world charm of antique furniture, blue-and-white porcelain and attentive personnel at your beck and call, it was tough to leave the former summer residence of the British collector. But after a hearty breakfast and tall glasses of fresh juice, we were ready for our heritage walk of Tranquebar. 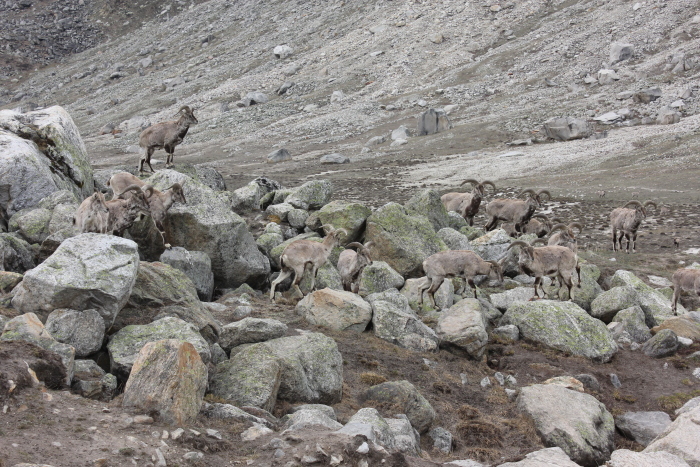 A herd of goats butted each other playfully by the gate as we stepped into Dansborg Fort. For Rs.50, you can walk in the hallowed precincts of the Danish stronghold that dictated trade in India for around 250 years. Built by Ove Gedde, Commander of the Danish Royal Navy and Tranquebar’s earliest Governor, the fort was a unique specimen of Scandinavian defense architecture. The first floor served as the Governor’s residence while rooms on the lower level were used as godowns, prisons and refuge for soldiers. There were separate rooms for security, arsenal, storage of beer and wine, stables and pigeon coops. 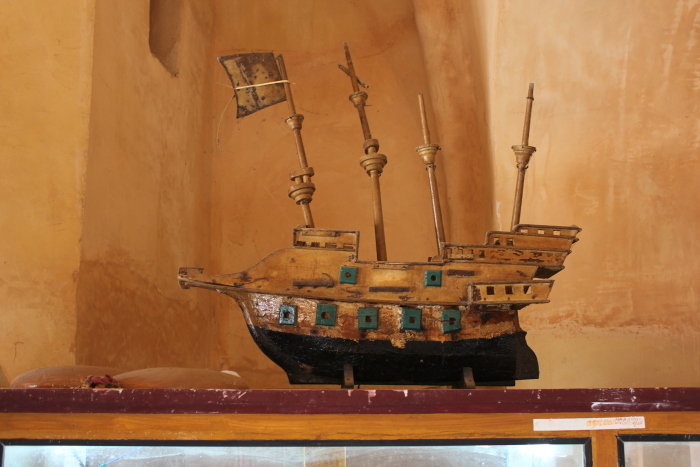 Tucked away in the fort’s central chamber, the Danish Fort Museum was a cache of Danish artefacts, miniature ships, cannons, lists of Danish Governors and ships that docked at Tranquebar, besides a copy of the trade agreement between King Raghunatha Nayak and the Danes. The original 1620 treaty bearing the royal signature in Telugu on a gold foil was part of the International Archives in Copenhagen. Despite being a protected monument, the fort languished for decades after India’s independence and was renovated in 2002 by the Tranquebar Association of Denmark, State Archaeology Department and the ASI nearly 382 years after being built. The adjacent Parade Ground was once a venue for ceremonial parades and bazaars. Today, the odd local walks up to tourists to peddle undecipherable metal pieces as ‘Danish coins’. 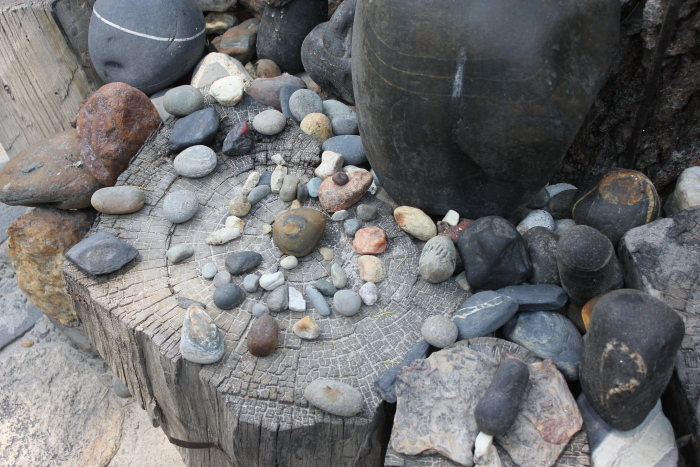 A cross on a stone memorial marked the arrival of the first Lutheran missionaries to India. Ordered by Danish king Frederick IV to spread spiritual and religious service in India, Bartholomäus Ziegenbalg and Heinrich Plütschau landed at Tranquebar on 9 July, 1706. Here Ziegenbalg established India’s first printing press, which published over 300 books in Tamil, including the first Tamil translation of the New Testament in 1715. Kongensgade or King’s Street was lined by stately buildings and old churches ending at the arched Landsporten or Town Gate. 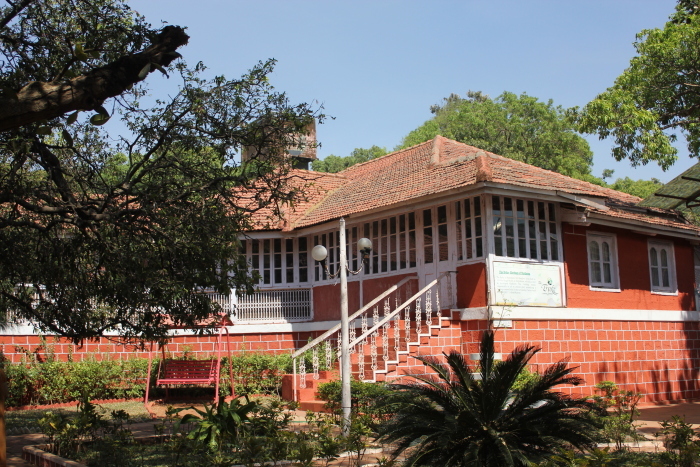 Workers were busy renovating the Governor’s Bungalow, formerly the private residence of Governor David Brown, as it was being converted into a museum. 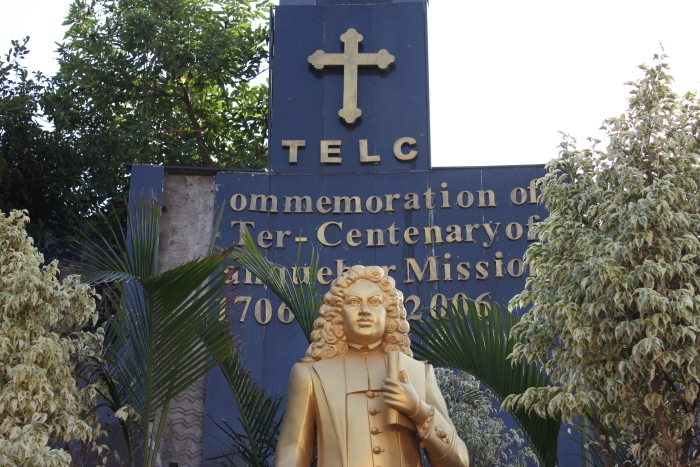 The adjacent Commander’s or Halkier’s House was a Teacher’s Training Institute run by the Tamil Evangelical Lutheran Church. 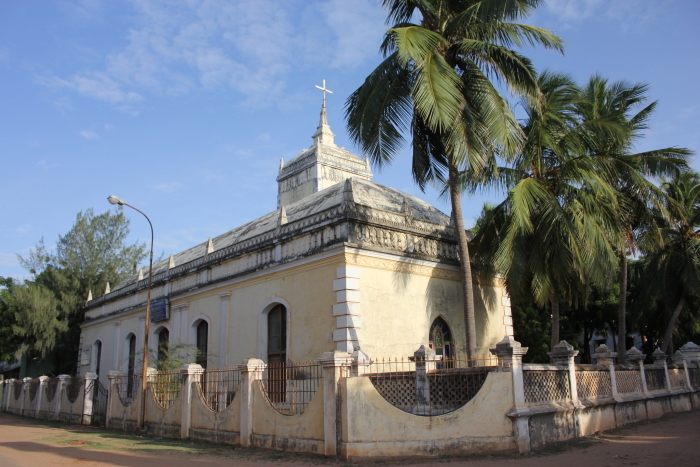 Nearby Zion Church, the oldest Protestant Church in India, consecrated in 1701, symbolized the spread of the Danish population from Dansborg Fort to surrounding areas. When the church proved small for the growing Christian community, Ziegenbalg built the New Jerusalem Church in 1718, a marvellous fusion of Indo-German architecture. Stained glass windows above the altar cast rainbow streaks across the tomb of Ziegenbalg. A few gravestones paved the garden while a small lane led us to the old cemetery behind the church on Kavalamettu Street. We continued on King’s Street past the former home of Danish Governors, Van Theylingen’s House and Rehling’s House, with impressive white pillars. 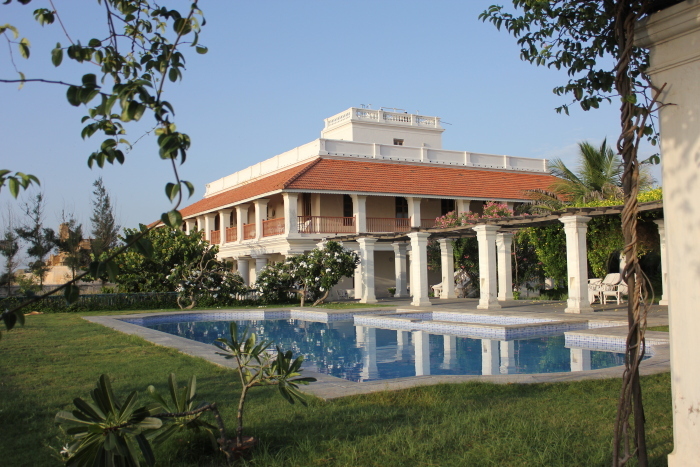 To adapt to Tranquebar’s tropical climate the original pitched roof was replaced by a flat one and a verandah and porch were added. Just beyond Danish engineer Muhldorff’s House was the Gate House, a converted Neemrana heritage hotel set in a beautiful lawn. For a surprisingly short distance, it took forever to reach Landsporten, first built in the 1660s. When the old gate crumbled, Governor Peter Anker commissioned Muhldorff to build the present one in 1791. 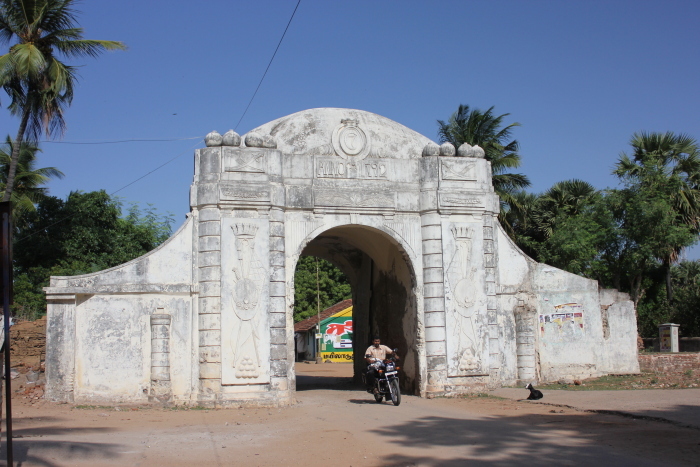 Local autorickshaws, bikes and school children crossed the historic arch, oblivious of its significance. 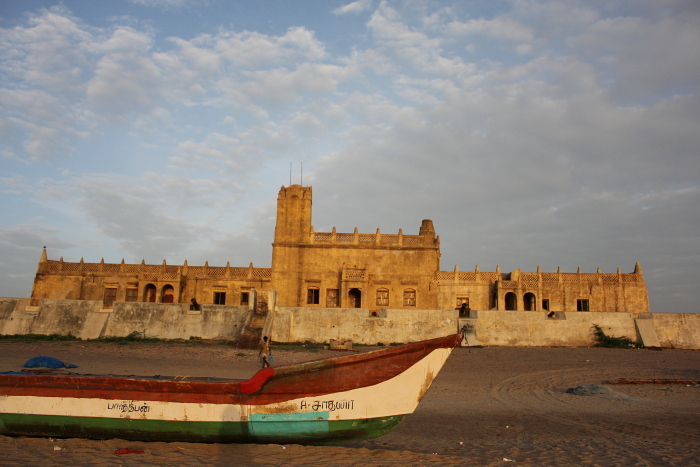 But Tranquebar had other layers under its Danish exterior – the Perumal Kovil temple, Muslim houses, mosque, dargah and old homes displaying vernacular Danish-Tamil architecture. Getting on to Borgan Street, we crossed Pastor Johann Gründler’s House, who co-authored several books in Tamil with Ziegenbalg. The house functioned as a boys’ hostel while Ziegenbalg Museum Complex with the old printing press was now a school. Our heritage walk ended at the INTACH Museum on Goldsmith Street, a complex of five renovated Tamil houses with exhibits and panels by Best Sellers Foundation, INTACH’s renovation efforts and a small art café. The Tranquebar Craft Centre sold bags, terracotta toys, coconut shell curios, key chains, hand-woven baskets and Tsunamika toys that funded tsunami relief projects. 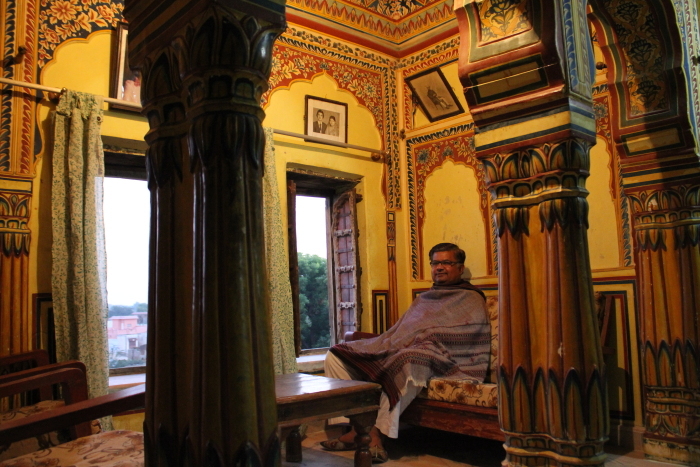 The Nayak House nearby had also been renovated into a Neemrana hotel. Phew! 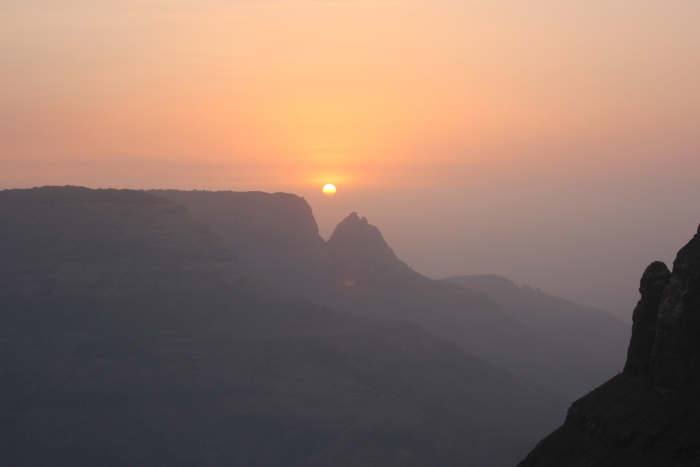 We don’t know whether it was Ziegenbalg’s list of achievements or the magical sunset, but we were left breathless. A lone catamaran bobbed on the waters and a gust of wind blew across Tranquebar’s ozone-rich beach. And we could see why it was so easy to bear roots here forever. 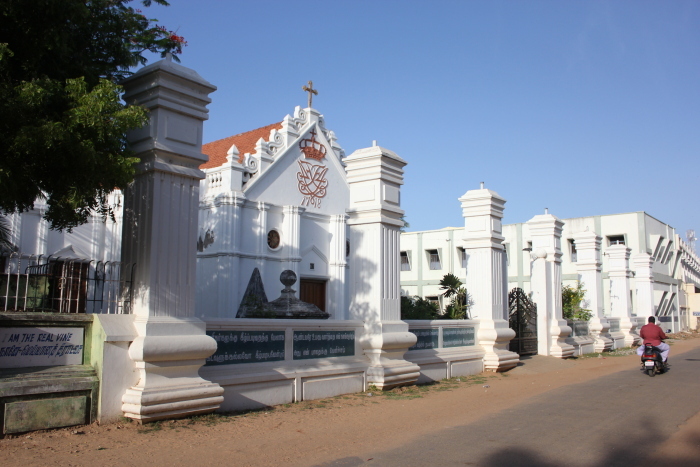 Nearby: Velankanni Church (43km), Chidambaram Natarajar temple (52km), Kumbakonam (57km) and the French enclave of Pondicherry (120km) are short excursions. Getting there: Jet Airways flies to Trichy, from where Tranquebar is 145km via SH-22. 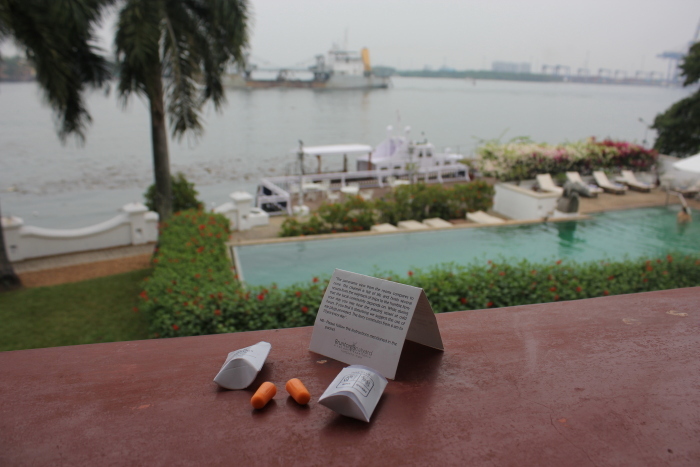 Authors: Anurag Mallick & Priya Ganapathy. This article appeared in the September 2012 issue of JetWings magazine.